This month, we will discuss many books during our meeting. Each participant should choose their own China-related book, read it, and share information about the book with the other participants at the monthly meeting. 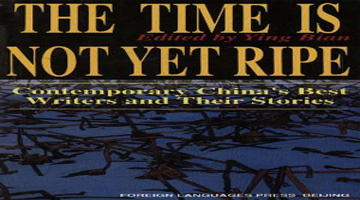 The book chosen can be any book written by a Chinese author or written by a foreigner about some aspect of China. Choose fiction or non-fiction, historical or modern, prose or poetry - whatever interests you! For our monthly meeting, be prepared to tell the other participants about your chosen book - themes discussed, impressions made, recommendations for various audiences, etc. The other participants will also want to ask some questions of you about the book. The discussion will be informal and we will spend about 10 minutes on each book. If you do not have the opportunity to choose and read a book, please attend the meeting anyway, to hear about many interesting reading possibilities. Venue: Chiina Culture Center, Chaoyang District, Beijing, China.